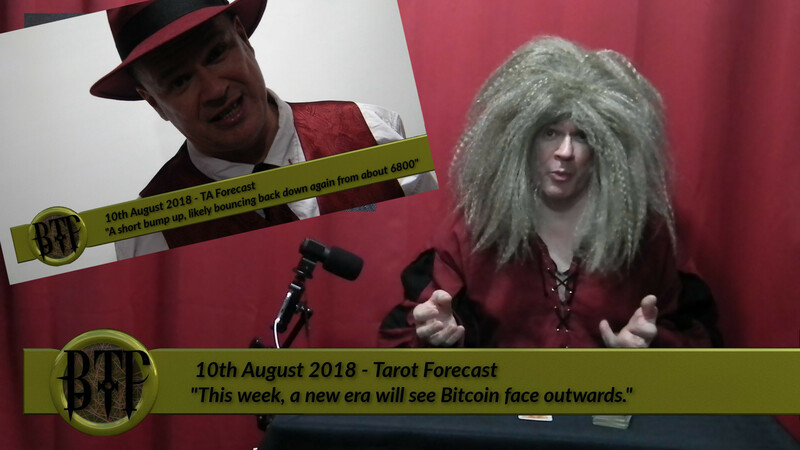 In last week’s #Bitcoin #Tarot #Podcast, Chad predicted the price would go down, probably bouncing from the 50-day moving average. Then the price went down, other than a small bounce around the 50-day moving average. Conroy’s tarot prediction did less well. How will Conroy’s failure affect the grades? What will next week’s predictions hold? Watch the #Bitcoin #Tarot #Podcast right now to find out. [TA-Synopsis] A short bump up, to bounce back down from about 6.8k. [Tarot-Synopsis] This week, a new era will see Bitcoin face outwards.